After the initial devastation caused by a fire due to electrical malfunction. These Visalia homeowners contacted their locally owned and operated SERVPRO of Visalia to help put their home back to pre-fire condition. This family couldn't believe how quickly and completely we were able to clean the soot from the home. This Visalia home caught fire due to a rocket. When the unexpected happens your life can be turned upside down. SERVPRO of Visalia is here to help you through those times and to restore your home or business back to "Like it never even happened"
Fire can put a businesses "out-of-business" for several months. This fire affected 3 units of a commercial strip center. Two units suffered smoke damage that was corrected in a short time allowing the tenants to resume operations. The unit pictured here required removes to the shell construction and then reconstruction to its pre-loss condition. SERVPRO of Visalia can help you get back to what you do quickly if disaster strikes. SERVPRO of Visalia received the 2016 Director's Gold for Outstanding 2015 Sales Performance! SERVPRO of Visalia continues to provide the best in fire and water clean up and restoration services for Visalia and beyond. 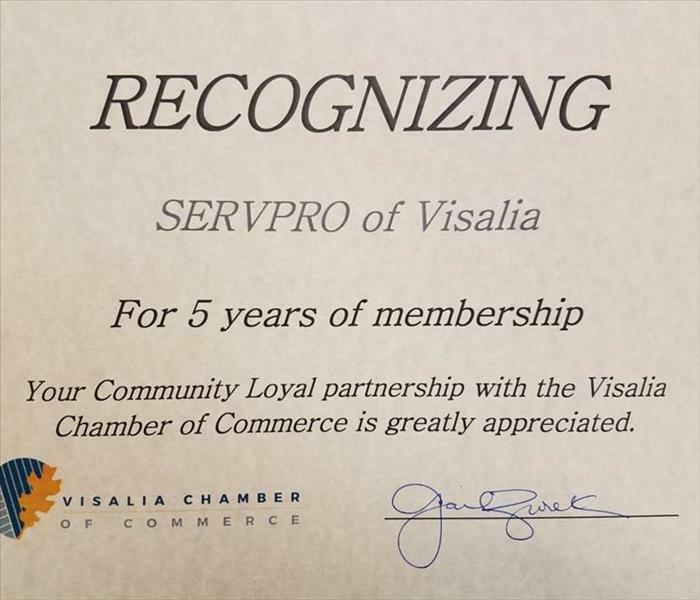 SERVPRO of Visalia received a Recognition Certificate for 5 years of membership with the Visalia Chamber of Commerce! When you want it done right and done fast,call SERVPRO of Visalia. Because when you expreience a fire, water or mold damage in you home or facility, you need fast response and the expertise to get the job done right. SERVPRO of Visalia performed excellent mold remediation services. 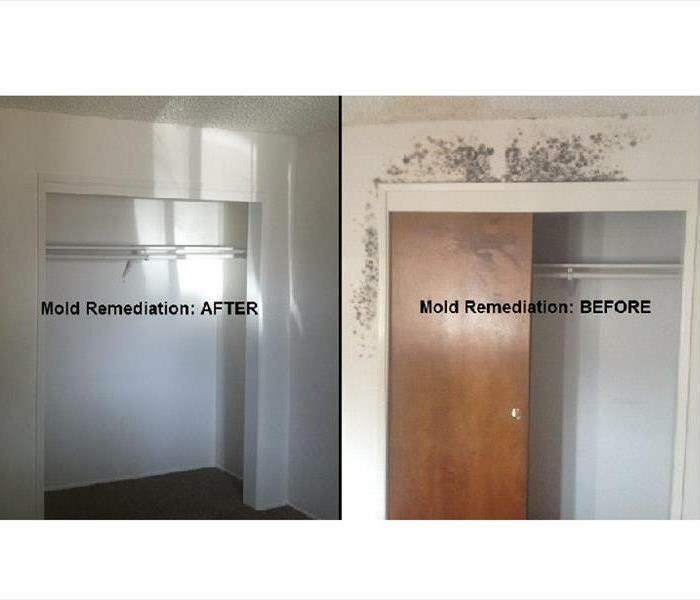 Here is one of our before and after photos of the mold remediation we performed. As always we aim to make it "like it never even happened"! This is a commercial building that had fire damage. 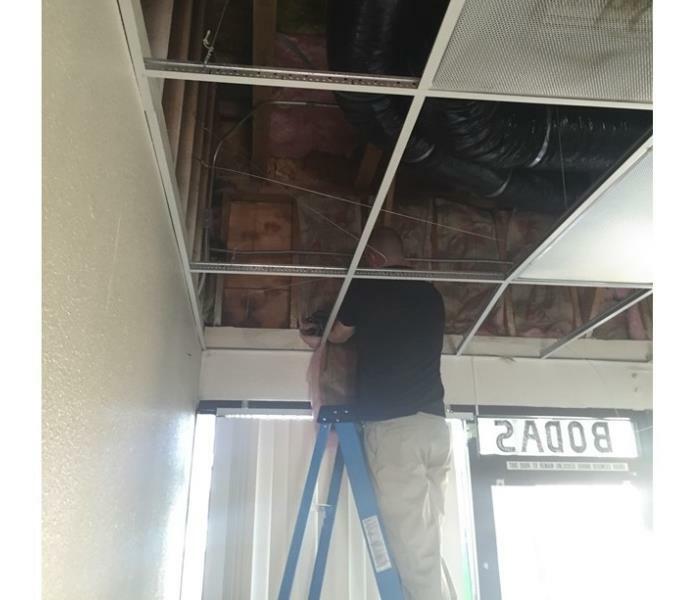 Our certified technician is installing new insulation. SERVPRO professionals are commited tp providing fire and water cleanup and restoration services to reduce business interruptions and recovery costs. SERVPRO of Visalia in action!! 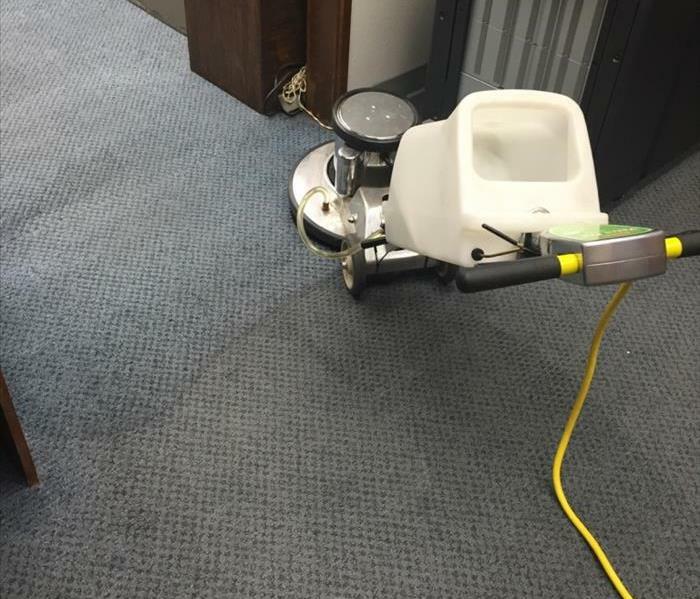 Our technician took a step back to capture the process of carpet cleaning. Our professionals use the latest IICRC training as well as state-of-the-art equipment to remove entrapped soils from deep within your carpet's pile and backing.